Kolkata: West Bengal’s efforts to save face over the Singur issue seem to have backfired, with the combine that was to set up a facility to make a Rs1.6 lakh car on the plot of land where Tata Motors Ltd’s small car factory was to come up saying it will look to set up base in some other state if the state government takes a year to give it this land—the time the state’s industry secretary has said it could take Tata to vacate the plot. Earlier, West Bengal had paraded Chinese auto company First Automotive Group Corp., or FAW, as a possible taker for the plot of land where the Tata Motors factory was to come up at Singur, an hour’s drive from Kolkata. Tata decided to move its factory out of Singur—it was coming up on land leased from the state—after protests from local farmer groups and a political party, the Trinamool Congress, which said the land for the factory had been forcibly acquired by the government. The Tata Motors factory is now coming up at Sanand in Gujarat. FAW officials met chief minister Buddhadeb Bhattacharjee on 4 November, were shown the Singur site, and liked it. The catch? The state government can’t take a call on the Singur site; only Tata Motors can. Interestingly, FAW is looking to launch a small car priced at Rs1.6 lakh. Prices of Tata Motors’ Nano, which was to be manufactured at Singur, start at Rs1 lakh. West Bengal’s commerce and industries secretary Sabyasachi Sen said the government wouldn’t try to broker a deal between the two companies. “They can only buy if the Tatas are willing to sell," said Sen, adding that the government couldn’t pressure Tata Motors to vacate the plot immediately because it had paid rent for it till 2009. A few days ago, Sen had said Tata Motors could take up to a year to vacate the plot. “We are ready to buy the land (on) as is where is (basis), if the terms and conditions are mutually agreed (upon)," said J.K. Saraf, chairman of Ural India Ltd, a company that already manufactures trucks at a different location in West Bengal and the partner of FAW. Tata Motors has said it had invested Rs1,500 crore in Singur. While the company will be able to recover some of the costs, especially that incurred in machinery, it will have to write off the amount spent on some work, including raising the level of the factory by almost 2m to avoid flooding. Meanwhile, two officials at West Bengal’s commerce and industries department said the state wasn’t convinced about the interest of the FAW-Ural India combine, even as Saraf said that the combine would be writing to Bhattacharjee with a firm offer for the site. Officials at West Bengal’s commerce and industries department said on condition of anonymity that the government wasn’t convinced about the intentions of the FAW-Ural India combine. 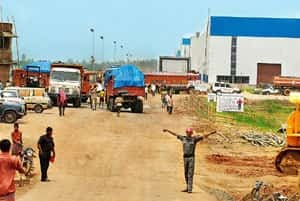 The state had allotted 300 acres to Ural India in Haldia to manufacture heavy trucks, but the project has failed to live up to expectations, said one of these officials. None of the officials wanted to be named. Saraf said Ural India manufactures five trucks a day at present, and that it would increase production to 10,000 a year when the economy looks up. Another of the officials said the government was still hopeful that it could persuade Tata Motors to do “something" with the Singur factory and not abandon it altogether. Meanwhile, Saraf said FAW was likely going to wait till March for the state government to decide on the Singur plot. The company is considering a couple of sites in Maharashtra and Haryana, he added. It is unlikely that Mamata Banerjee, the leader of the Trinamool Congress, will oppose FAW’s entry because the Chinese auto maker doesn’t want more than 600 acres. Banerjee was willing to let Tata Motors have 645 acres for its factory, but insisted on it returning at least 300 acres from the land allotted to its vendors.